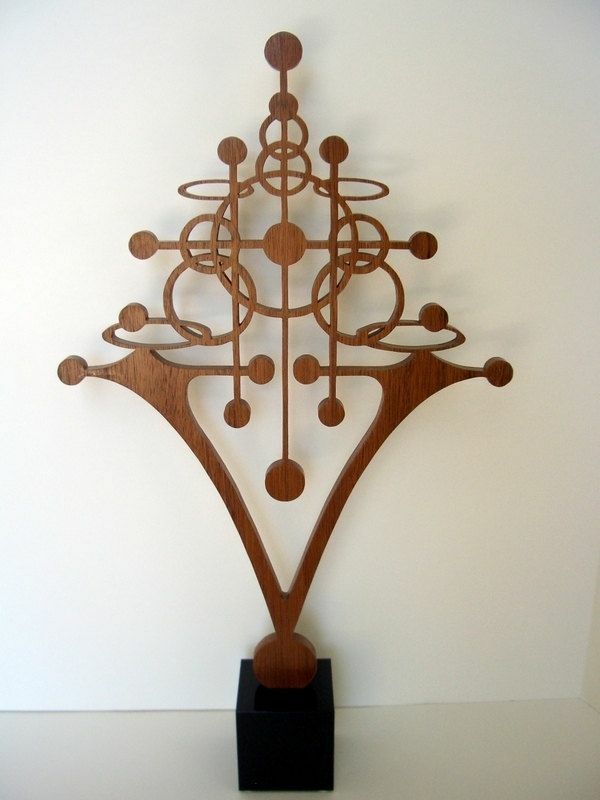 This one-of-a-kind wooden sculpture is made of mahogany wood. It measures 19 1/2''x12 1/2'' and is 1/2'' thick. 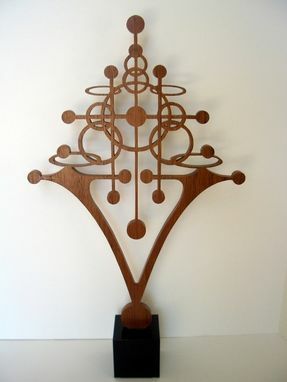 The sculpture sits on a 4'' base. The wood was finished with clear coat for lasting protection from elements. This is a great piece for modern-themed homes and offices.